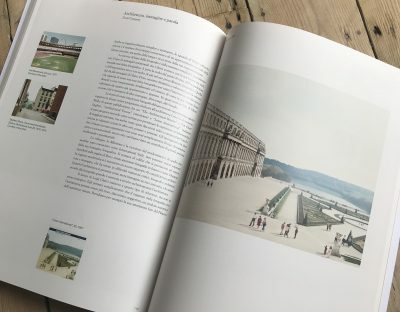 Electa has published the catalogue of the exhibition Luigi Ghirri. The Landscape of Architecture, curated by Michele Nastasi, presented in the spaces of the Triennale di Milano (May 25 – August 26, 2018). Born out of collaboration between the Museo di Fotografia Contemporanea and the Triennale, the exhibition brings out the importance of Luigi Ghirri‘s work in architecture, through his ten-year collaboration – between 1983 and 1992 – with the review “Lotus International”. Ghirri brought to architecture a freer way of conceiving reality, based no longer on the reduction and exclusion of the infinite subjects of the world, but on their inclusion in a timely image, a reading of the landscape in which architecture, in its different forms and different times, is relocated in the present. With texts by David Campany, Elio Grazioli, Angelo Maggi, Michele Nastasi, Pierluigi Nicolin.